Traditionally, treating tooth decay has involved injections in the mouth, drilling and filling – often unpleasant and difficult to cope with. 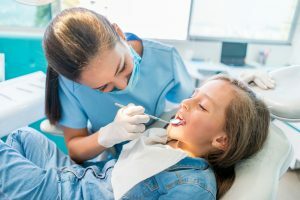 However, treating decay by simply sealing it into teeth, without any injections or drilling, has been shown to work better than traditional treatment for children’s decayed teeth – and they prefer it! Tooth decay is the most common disease in the world. How can just sealing it into teeth possibly work? And can we transfer this easy, successful and low cost dentistry to adults? Join us at Avery & Co. at 34 South Tay Street on Monday 17 April 2017, at 7pm. This is a free event and everyone is welcome. This event is non-bookable. Seating is limited so please arrive early to avoid disappointment.